Premier Radio blue bags will be available for every household from the weekend of 30th November / 1st December for you to bring Food Bank items the following weekend (7/8th Dec). More details next week, so start collecting tinned & packet food so that we can help those who are struggling to buy food. Milk (long-life or powdered) fruit juice or squash (fresh and long-life), Sponge pudding (tinned) Biscuits or snack bars, Instant or tinned potato Tinned meat / fish, Sugar (500g bags) Rice pudding, Instant coffee, Tea bags. Could you buy an extra gift for a needy child or baby? Bring your gifts to Mass on the 3rd Sunday of Advent, the weekend of 14th / 15th December. This year, as well as Christmas presents, we are collecting new baby blankets and new baby clothes (0-12 months) which will be used by a little one throughout the coming year. Please leave the baby blankets, unwrapped, in the original packaging. All other gifts should be wrapped with a label indicating gender and age (0-15 years). Please leave your gifts in the coloured boxes at our usual drop-off point just inside the doors of the Pastoral Centre corridor. The gifts will be divided (as in the past few years) between The Good Counsel Network and the Westminster Catholic Children’s Society. Thank you, in advance, for your generosity. Involved in the local Food Bank, and vouchers for those too poor to buy food. Preparations for our annual participation in the ecumenical Winter Night Shelter. St Joseph’s Parishioners also serve as Street Pastors, and in various other caring missions. To mark the transition from the Year of Faith (ends 24th November) to our Parish Year of Renewal (leading to Years of Rededication and Mission) we are showing this new film, FAITH OF OUR FATHERS, at 7pm on Sunday 1st December (the Feast Day of St Ralph Sherwin and his Companions, Martyrs of the Venerable English College in Rome) as a special feature for our Take A Stand (World Youth Day) young Catholics and for all Parishioners (and your invited Catholic and non-Catholic friends). During the ‘English Reformation’ hundreds of brave men and women suffered persecution to cling to the Catholic Faith that had been integral to the life of this nation for over a thousand years. Many were heavily fined, exiled or imprisoned. Priests, or anyone assisting a Priest, could expect the death sentence. Fr Marcus Holden & Fr Nicholas Schofield lead us on a journey to discover more about these Saints, the times in which they lived, and their significance for Catholics today. From the lives of well-known Saints like Thomas More, Margaret Clitherow and Edmund Campion, to lesser-known figures, the message of the English Martyrs is re-presented for a contemporary audience. It is a message of great Faith and profound courage. Along the way we discover places such as Stonor Park and Wardley Hall, Tyburn & Rievaulx Abbey. Interviews with Archbishop Vincent Nichols, Bishop Terence Brain, Lord Camoys and others help to re-tell the stories of those who laid down their lives to preserve the Faith of Our Fathers. These heroic Catholics help to encourage and inspire us in living our Catholic Faith in this same land, amidst the challenges of our own times, and for the New Evangelization. Pope Emeritus Benedict to the students of the Venerable English College on the occasion of being received in Private Audience, 3rd December 2012. In December 2012, the students of the Venerable English College in Rome were granted a private audience with Pope Emeritus Benedict in the ‘Sala Clementina’ of the Apostolic Palace. At that audience, Pope Benedict venerated the relic of St Ralph Sherwin, protomartyr of the Venerable English College’s forty-four martyrs. Nearly all of these martyrs died for the Faith in their early twenties by being hanged, drawn and quartered. When news of a martyrdom reached Rome, the students sang a ‘Te Deum’ before the C16 ‘Martyrs’ Picture’ in the College Church. Undaunted, many of those who sang the Te Deum would themselves return to their homeland and receive ‘their own’ Te Deum in praise of the God who gave them the grace to clothe themselves in the white robes, washed clean in the ‘Blood of the Lamb’ (Cf. Apoc. 7:13ff). Victims of the super typhoon in the Philippines are to benefit from an emergency aid package of €100,000 (£84,600) agreed today (Tuesday, 12 Nov) by Aid to the Church in Need. The aid – which will provide food, clean water, shelter and basic medicine – will be channelled through the Catholic Bishops’ Conference of the Philippines for use in areas of greatest need. The emergency support, approved by Aid to the Church in Need (International) Executive President Joannes von Heereman, comes as the UN estimated that more than 11 million people were affected by Super Typhoon Haiyan which struck on Friday (8 November) with gusts of up to 250kmh (151mph). The mega storm is now reported to have left more than 673,000 people displaced and caused up to 95 percent devastation in worst affected areas such as the city of Tacloban. At least 10,000 people are feared dead as a result of what is being described as one of the most powerful storms on record. In an interview today (Tuesday) with Aid to the Church in Need, Father Edione Gariguez, who is coordinating aid relief on behalf of the Philippines Catholic Bishops’ Conference, said the devastation was worse than reported – with many more provinces and small islands affected than recorded in the media. Thanking Aid to the Church in Need for the emergency aid, he said: “We are used to typhoons… but this is really a super typhoon that is very devastating. He described being told by a Sister in Cebu, another badly-affected area, that 80 percent of communities were flattened to the ground including schools, churches and sports halls. Most of the buildings have collapsed. Staff from Aid to the Church in Need stressed that the disaster was so serious the charity was duty-bound to help but that it was an exceptional grant. Aid to the Church in Need’s projects director Regina Lynch said: “The aid we are providing today is for humanitarian, emergency help but our main focus will continue to be about building up pastoral structures. “The big job for us will come after the main emergency has begun to die down. Then we will help with reconstructing priests’ houses, churches etc. She said that already the bishops had made progress in developing an emergency relief programme and that the charity would work alongside Church leaders on the ground who were aware of those in greatest need. After hitting Leyte and Samar coastal provinces with 5.5 metre (18ft) high storm surges, Typhoon Haiyan struck six central Philippine islands and affected 40 cities, notably Tacloban, which is 95 percent destroyed. Tacloban was reported to be inaccessible but, once communications are established, clergy said that 15 parish chapels all over the city will act as distribution points. St Nino’s Shrine, in Tacloban’s Real Street, has been assigned as the drop-off point for relief goods. According to Church sources in the Archdiocese of Jaro, in Iloilo, 95 percent of homes in one of the towns were badly damaged. Sr Mapath Bulawan in Bogo, Cebu, said that people from Bogo, Daanbantayan and Bantayan Island were left homeless. Parish priests in Busuanga and Coron Palawan, reported that 600 families from the Tagbanua tribe had lost their houses and were appealing for food. You can donate to Aid to the Church in Need’s work in the Philippines here. CHRIST’S LIVING PRESENCE IN THE CHURCH BUILDING is what makes this sacred space different from anywhere else on earth! Our current age sees everything as an object of human production, and human relationships made effective by conversation. But praying to God is totally different because God makes Himself known to me. Appreciating the Mass as the activity of Christ, our prayer inserts us into its action and thereby into the Body of Christ (Lumen Gentium, Vat 2) thus building up our relationship both with Him and with one another. 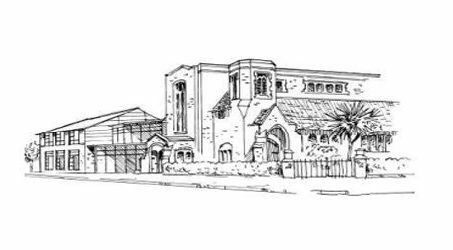 OUR PARISH FAMILY meets in the Church which, as a consecrated building, is set aside exclusively for the worship of Almighty God (Rite of Dedication of a Church). While the Church is made up of people, living stones, the place where we worship is important. We believe that the Lord is present in every Catholic Church in the Blessed Sacrament. Our lives today tend to be stressful and noisy. The busy-ness of running a home, commuting to work and bringing up children means that we should value our Church building as a unique resource – providing a sacred space where individuals find opportunity to be with the Lord present in the Blessed Sacrament. Every Parishioner or Visitor to our Church should be able to experience it as an oasis of peace – which depends on each one of us ensuring prayerful silence and stillness. Jesus loved the Temple in Jerusalem: He became visibly distressed when He saw its peace being upset (Matthew 21: 10-17) and He said those famous words: My house shall be called a house of prayer. We need to do all we can to respect our Parish Church as “a house of prayer”. WHEN YOU COME INTO CHURCH try to be as quiet as you can. Genuflect when you enter, and whenever you pass the tabernacle (in the centre of the Church). Restrict any conversation to outside the Church itself (in the Pastoral Centre and its foyer, or the narthex / porch – though sound often carries from there into the Church). Greet one another with a nod and a smile, be warm and welcoming, but resist the urge to chat in Church, especially before (and after) Mass! Give those around you the chance to be still. It may be the only opportunity in the week for them, and for you, to spend quality time with God. OUR CAR PARK is at the east end of the Church (access from Kingston Road, opposite the Public Library). The rear Courtyard is reserved exclusively for Presbytery residents, house guests and deliveries. Surplus car parking is best alongside Holy Cross School in Sandal Road, leaving Montem Road for our neighbouring residents. Please park sensibly and considerately, never blocking driveways. If you need to speak to the Priest, please do so after Mass – he, too, needs to be recollected and spiritually ready, and he will not be able to give you the time you deserve beforehand. Remember that the Sacristy is part of the Church and not a meeting room or parish office! Ringing of mobile phones is an occasional cause of irritation. If you bring one please make sure that it is turned off (or switched to silent or vibrate mode) before entering the Church. And aim to arrive in good time, so that you a have the chance to settle yourself and your family well before Mass begins, and to make a prayerful preparation for Mass. TOILETS can be used before or after Mass, but during Mass please only use them if absolutely necessary. In particular, no one should be going to the toilet between the Offertory and the end of Mass (while we are kneeling in worship). Nor should toilets be used (quite obviously) immediately after receiving Holy Communion! Kneel in your pew and adore Jesus who has just made His home in you in Holy Communion. The minutes after we receive Holy Communion are the most sacred moments of our life on earth – to be treasured and prayed. Food or drink should not be consumed anywhere in the Church. Children should be fed before or after Mass, never during the Sacred Liturgy. All Communicants (except the elderly or seriously sick) are bound to fast for at least one hour from all food and drink (except water and medicines of genuine need) before receiving Communion. We should not receive Communion if we are conscious of being in a state of grave sin, without first receiving absolution in the Sacrament of Confession (Reconciliation). This could include deliberately missing Sunday Mass, being in a ‘second marriage’ (or similar relationship) without first having had a former marriage annulled by the Church. Speak to a Priest in confidence if you have any uncertainty. OUR CHILDREN are our future and we love them. We are very happy that they come to worship God. Jesus famously said: “Let the little children come to me: do not stop them for it is to such as these that the kingdom of God belongs” (Mark 10: 13-16). Please help your children understand that when they come to Church, they are entering the House of God – somewhere entirely different from anywhere else on earth! Encourage children to be as quiet and reverent as possible. Only soft toys ought to be brought into Church (not hard ones which can be banged and are noisy!) If a child needs to bring a book, it should obviously be a religious one (so that it contributes, not detracts from, focus upon the things of God), but it’s best if each child has his or her own age-related Missal (Mass book) to help them participate in the Mass and respond with everyone else. Children are best seated at the front (or the front side benches) where their attention can be drawn to the candles, colours, incense, movement in the sanctuary and action at the altar, and thus be drawn into the sacred action of the Mass. We take child protection issues very seriously, and need to observe health and safety, fire and other regulations. Please do not let small children run in the aisles, climb on the benches, light candles unsupervised, or otherwise cause danger or unnecessary distraction. If a child is crying or fractious take them briefly into the porch or the Quiet Room at the back of Church until they are calmed, and where you can still follow Mass through the speakers. The Quiet Room should only be occupied very briefly, so that others have opportunity at need. A box of books is there, and also at the back of the Church, which might help to settle them. You can then return with them when they are calmer. Pushchairs should be stored away from fire exits and doors. WHEN MASS IS ENDED take a copy of the Sunday Bulletin home with you (one per family) for reference during the week. Please leave everything tidy, ready for the next Mass, taking home paper tissues etc, and returning hymn-books and Mass sheets to the back of the Church. Remember that there are people who want to remain in prayer, so please respect their wish by leaving the Church as quietly as possible. THE MASS is the source and summit of the Christian life, and our receiving Holy Communion should be the highlight of our week. It is traditional to genuflect (or at least make a profound bow, not a nod) before receiving Holy Communion. If you are carrying anything (child, walking stick etc) please do not attempt to received Communion in the hand (nor if wearing gloves). Priests have a responsibility to ensure the avoidance of sacrilege, danger or disrespect to the Sacred Host. It is the right of every Catholic to choose to receive Holy Communion kneeling or standing, on the tongue or in the hand, as recently reminded by the Archbishop of Westminster. Pope Benedict gives example to the flock of Christ by giving Communion only on the tongue and kneeling. You may choose to follow his lead by kneeling at the Communion rail. Respond to ‘The Body of Christ’ by saying ‘Amen’ (not ‘thank you’!) as a profession of faith in Him whom you receive. Do not attempt to take the Host between your fingers or dip It into the chalice (permitted in some countries, but not in England & Wales). If you receive the Host in your hands, consume It immediately and do not wander away (which will probably lead to the priest chasing after you!). Non-Catholics and others unable to receive Communion for whatever reason are welcome to come for a blessing. Please indicate this by crossing your arms over your chest, and if your children have not received their First Holy Communion, make sure they are doing this. Mass doesn’t end until the final Blessing and Dismissal. Please do not leave Church before the Priest. This is disrespectful to Christ (whom the Priest represents) and blocks the exit procession of altar servers. After the 9.30am Mass there are usually refreshments in the Pastoral Centre and the chance to greet one another. Please do come and make some new friends. The proceeds from this go to help the poor. These guidelines remind us of what ought to be obvious and provides good practice for every member of our parish family so that we all benefit more deeply from the celebration of Holy Mass and, as St Augustine teaches: become what we receive – the Body of Christ. These guidelines have been compiled by a group of Catholic Priests and vary slightly adapted for different parishes. They may be downloaded here.